Editor’s note: In observance of World AIDS Day (Dec. 1), we invited individuals who attended the International AIDS Conference—with support from the ELCA—to offer reflections on our call to respond to HIV and AIDS. As the holiday season approaches, I am reminded of all that I have to be thankful for: my health, my wealth, my religious community. At the same time, I am also very aware of those who do not have all of these blessings, particularly as we near Dec. 1, which is World AIDS Day. While it is all well and good to send our “thoughts and prayers” to people living with HIV, God calls us to do more than this. This past summer, as an ELCA young adult delegate to the International AIDS Conference, I saw firsthand the struggles that many people living with HIV face on a daily basis, and I was moved by the efforts being made by both religious and secular organizations to support these individuals and fight AIDS. For as much as I learned about the disease and current efforts being made to combat it, I gained even more from spending time with my fellow delegates. I was touched by the mutual commitment to action held by all of the conference attendees, particularly representatives of churches and other faith-based organizations, all of whom were united in a shared higher calling. As Christians, we are called to aid the sick, the oppressed, the downtrodden. People living with HIV deal not just with medical issues but also with terrible social stigma and isolation, often being blamed for their condition. It is our duty not to cast blame but to provide support and to educate our friends, neighbors and community members. In my work in campus ministry, I am doing my part to try to inform those in my school and wider community about the realities of AIDS, clear up misconceptions and help prevent the spread of the disease. I urge you to reach out within your community and find out how you can do the same. Lewis is a junior at Northeastern University, Boston, where he is studying English. He is involved in community service and outreach and is the president of Northeastern’s Lutheran-Episcopal Campus Ministry. On this World AIDS day, we are aware our neighbors living with HIV and AIDS still confront several questions and issues in Nepal—and around the world. Sakriya Sath is a nonprofit organization and ELCA partner working together with those infected by HIV and partnering with them in several avenues across Nepal. Sakriya Sath has encountered children who are not accepted in schools because of their HIV status, collaborated with those women entrepreneurs who are discriminated against because of their HIV status, and supported vulnerable groups of migrants who haven’t been tested for fear of stigma. We know growth and advocacy are the major issues of HIV-infected communities in Nepal. These issues can be addressed only by global and regional networking, learning and cross-country coalition. Sakriya Sath had a global opportunity to share and learn at the 22nd International AIDS Conference and Pre-Conference in Amsterdam, Netherlands. We learned a variety of best practices on HIV and AIDS and heard from religious leaders and organizations who shared success stories. We also had a chance to present to a wide audience our media interventions and strategies on the role of faith in responding to HIV. Every presentation and statement issued for people living with HIV were very important. Since attending, we have shared our learnings in a national workshop and applied our knowledge to the audio content we offer across the Nepal. It’s not that easy to be a voice for the voiceless and to strengthen their voices. Through this conference, we are more committed to serving people who are living with HIV and their families. Banskota works with Sakriya Sath, a nonprofit, nongovernmental social organization in Nepal responding to HIV and AIDS, which is supported in part by the ELCA. 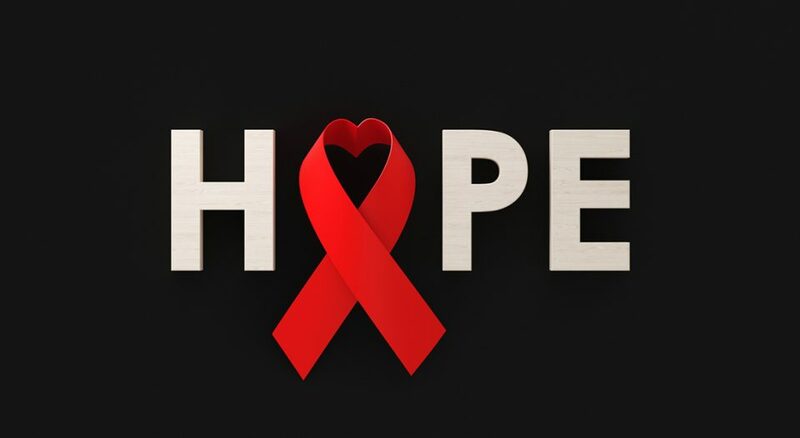 On World AIDS Day and throughout the year, the ELCA is Called to Respond. In the ELCA’s Strategy on HIV and AIDS, the church committed to being part of the larger global and domestic response to HIV. And through the strategy, all are invited to find ways to participate in and contribute to this response. As an individual and as part of the larger church, I am called and challenged to recognize when systems and social components contribute to the disparities related to HIV and other aspects of health. I am reminded that while we each can take action toward a more just society, we work collectively toward these goals. We recognize the ways that faith communities can come together—challenging stigma and discrimination—to be a vital part of this action. Furthermore, our congregations can be places of welcome and affirmation. World AIDS Day is an opportunity to remember, to learn more and to recommit to action. Together, we pray, give and advocate to work toward the vision of a world where all have access to prevention and treatment. On this day, we remember our call to live out our faith through action. Neubauer is program associate for the ELCA Strategy on HIV and AIDS.